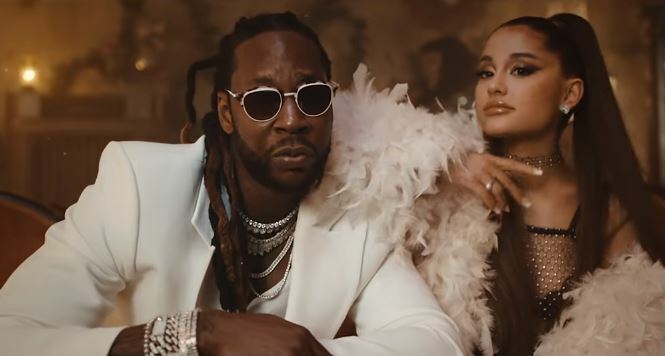 2 Chainz and Ariana Grande just released their music video for the collaboration called “Rule the World.” Directed by Sebastian Sdaigui, the clip finds Ariana and 2 Chainz traveling back in time to an underground jazz club somewhere in Southern California. “Rule the World” is featured on 2 Chainz’s latest album Rap Or Go to the League which is currently the No. 1 rap album in the U.S. Meanwhile Grande is preparing to kick off her Sweetener world tour on March 18 in Albany, New York. Take a look at the new video for “Rule The World” in the link below.